For decades the Pinewood Derby has been hugely popular with the Boy Scouts and a great, hands-on way to get boys interested in STEM related fields. The only problem: girls haven’t been allowed to participate. Ford saw this unique opportunity as an a fun and educational experience that should be open to all children, which is why we created our own race. A tournament for girls in collaboration with the Girl Scouts to fuel eager-minds and compete their hearts out. A final race was hosted live on the Today Show with 4 girls from around the country. Each of the racers received a $5,000 scholarship to continue their education. TV commercial that ran adjacent to the Girls' Fast Track Race segment on the Today Show. Fun, tutorial style videos were made leading up to the regional races to help girls build and design their cars. Each video focused on a different STEAM subject. The website hosted information about the regional races, photos from past races, and tips & tricks videos. 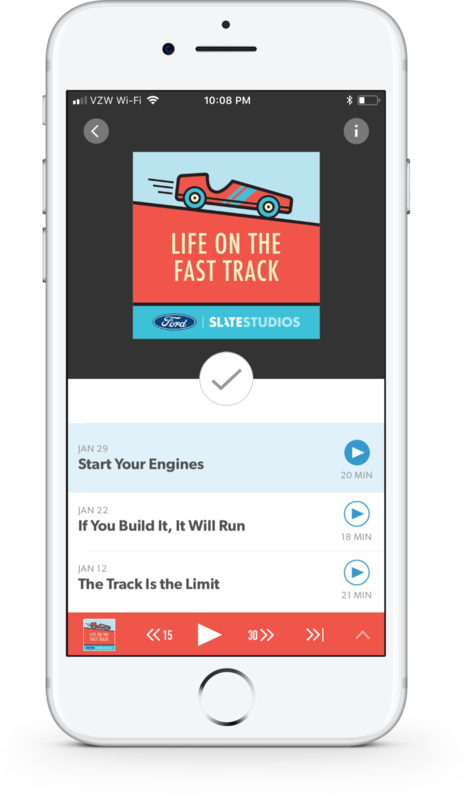 A 3 episode branded podcast produced in collaboration with Slate following girls across the country as they design and build their cars for the big race. Available on iTunes, Stitcher, or streaming through the microsite. What’s the best way to build excitement for year 2 of the races? Sharing all the great things the girls learned the previous year.